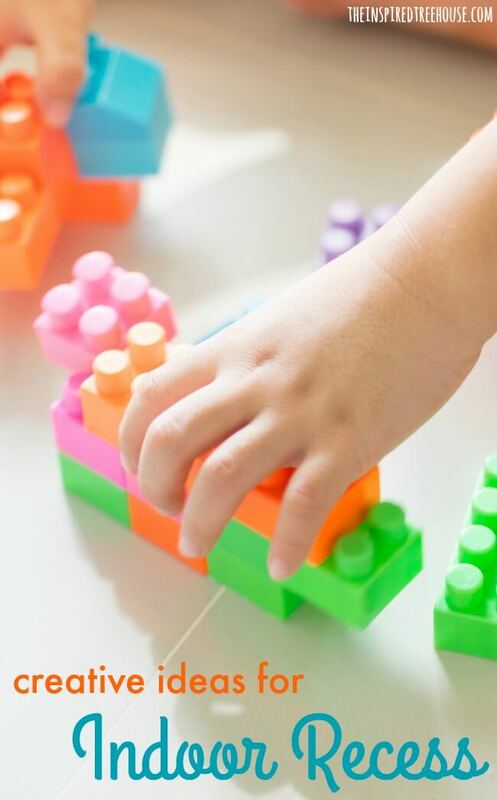 There are lots of fun indoor recess games and activities to help spice up those dreary winter days when outdoor play is not an option. These fun ideas can help refuel kids with the sensory and motor experiences they need to attend and concentrate for the rest of the day! 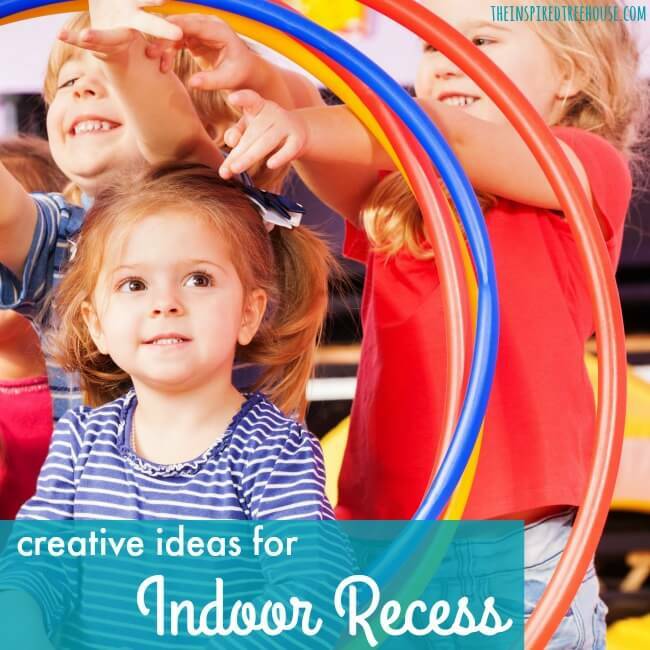 Here are some of our favorite ways to get kids moving and engaged during indoor recess. Click on the links to learn more! Get the whole class in on the action with some fun group movement games! –Wintertime yoga – This yoga sequence tells the story of some mischievous snowmen and the fun they have after everyone goes to sleep! Lots of great sensory and gross motor fun! –Cooperative activities – Check out this collection of low-prep active games and activities to encourage kids to work as a team! –Group movement games – These brain breaks could easily be used during indoor recess! –Hand clapping games – An awesome collection of old classics. Kids will love learning these songs that can be done with a partner or in a group. Score “Teacher of the Year” points by pushing the furniture and rugs aside and using some fun movement props! When in doubt, turn to technology to inspire some creative movement during indoor play time! –Go Noodle– If you don’t already know about Go Noodle, do yourself (and your kids) a favor and check it out today. From dance videos to Olympic training, they’ve got you covered with awesome movement activities. –Gross motor apps – Here are some of our favorite apps that can help get kids up and moving during indoor recess! –Movement songs – A little music goes a long way toward infusing movement into the classroom on a cold snowy day. -Crafts – Try these easy washi tape snowflakes! -Set up one or two stations of each: fine motor, gross motor, and sensory. -Sensory stations – Set up stations around the classroom to explore the senses: the olfactory system, the tactile system, the auditory system, the visual system, the oral sensory system, the proprioceptive system, and the vestibular system (click through to read more about each sensory system and to find activity ideas for each). What are your best tips for spicing up indoor recess? We’d love to hear from you in the comments below!